Put simply, this hypnosis session will take you deep into trance, wherein you can experience an ultimate state of deep relaxation. It is not designed to do anything else but allow you to be guided a pure state of deep Theta to Delta trance. The benefits of proper deep relaxation are immense for your mind, body & emotions. 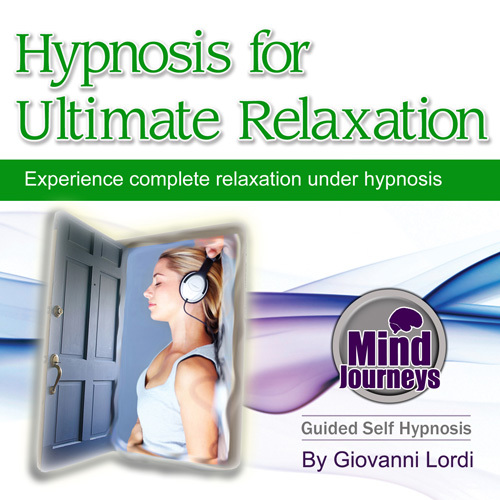 This hypnotherapy MP3 is recorded in ultra high definition, & contains Giovanni's soothing voice accompanied by a brainwave entrainment soundtrack of binaural beats, nature sounds & relaxation music. As a whole, the listening experience is incredible & will take you into an amazing state of mind where everything the whole world just stops as you experience pure clarity & peace. Contained in the spoken part of this recording is an extended hypnotic induction & multiple 'deepeners'. This will progressively keep lowering your mind into a deep trance, as you progress though all the amazing levels of consciousness as you delve further into the recording. Along the way you will be presented with various relaxing visual landscapes & metaphors to help immerse your mind into true hypnosis. The soundtrack on this MP3 is a digitally created mixture of sine wave generated binaural beats, rainforest sounds, bird song & deep trance tones. It will gently accompany the spoken hypnosis to create a very vivid listening experience for you. Used through headphones you can truly appreciate the amazing sense of relaxation fill every cell in your body as you your mind becomes entrained into progressively lower levels of consciousness. I live in the United States. I have purchased a dozen of Mr Lordi's CD's on-line and have been using them for quite a few months. I really love the soothing background music and the voice. Each CD has a unique introductory part, which is quite uncommon among the hypnosis CD's on the market. Each topic of CD shows that the author has done in-depth research in the area. All my worries were forgotten after listening to the CD's. I would recommend these CD's to anyone who wishes to improve their mental well-being.